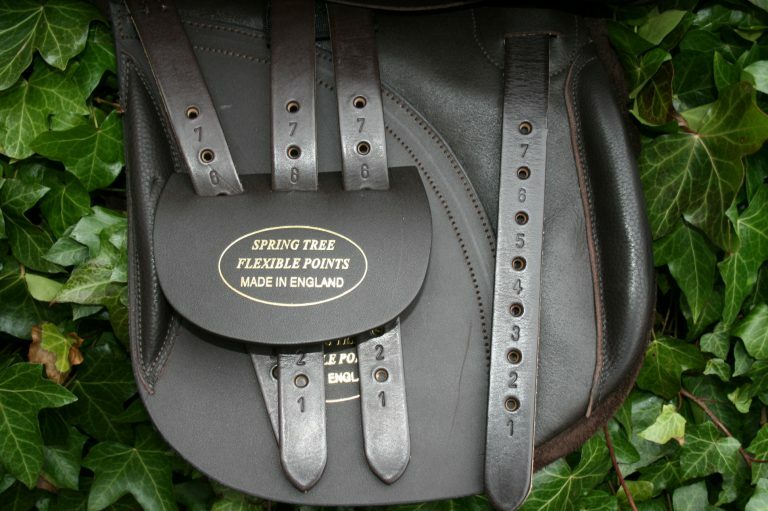 This saddle is made with a fairly flat tree as standard but we can make it, on a deeper tree if preffered. Covered all over in the finest English Suede. This suede is hard wearing yet super soft and comfortable. Woolen flocked panels for a good fit and neat look. Latex panels can be added instead on request. 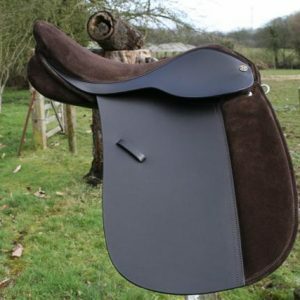 It has a very straight show cut flap and panels designed to show off the horses conformation to it’s best. Very neat “pencil” style knee rolls. Square or round cantle. 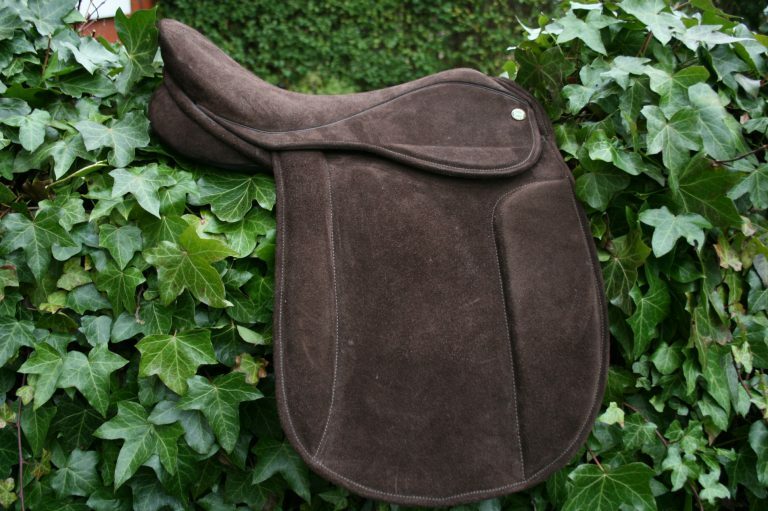 16″ to 19″ [inc half sizes] & Pony sizes 13″ to 15.5″ can be made on request. 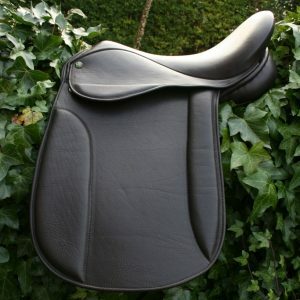 I ordered the Cheshire dressage saddle for my hard to fit horse. It was really easy to take the pictures and tracings to be able to get the right fit for my horse. The saddle fit my horse very good and I haven't felt her move that well in any other saddle. The seat is very comfortable. 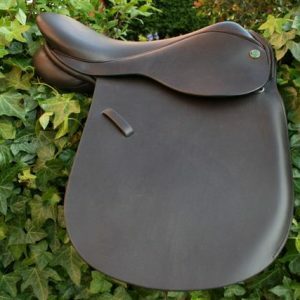 I'm very happy with my saddle!